The Fly Fishing Show has announced that anglers may now purchase fresh and saltwater fishing licenses for all 50 states by visiting the show’s website. SOMERSET, Penn. 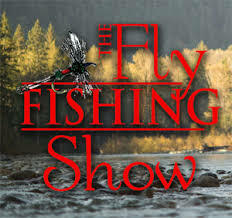 – Anglers may purchase fresh and saltwater fishing licenses for all 50 states by visiting the Fly Fishing Show’s website, www.flyfishingshow.com/. “At the top of the page, click the word ‘More’ to purchase a fishing license by credit card wherever you are planning to fish,” said Fly Fishing Show President and CEO, Ben Furimsky. There is no additional fee for purchasing out-of-state licenses through the Fly Fishing Show website.